Step 3: Personalize your selected flask and add to shopping cart. 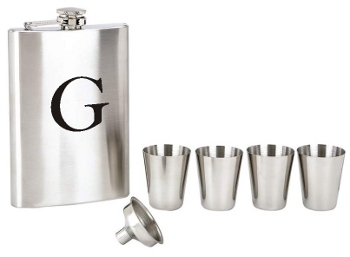 Set includes our standard 8 ounce personalized flask, (1) funnel and (4) 1 ounce cups. All pieces are made of stainless steel with a brushed finish. Attractively packaged in a velvet lined box with clear cover. Engraving provided on the flask only.